Our Internship in Sustainable Living is a 2-month full-immersion experiential opportunity for individuals interested in a hands-on introduction to sustainability practices but whom are unable to dedicate a year to our apprenticeship. This informal "permaculture exploration" experience is taught, organized and managed by our year-long apprentices and offers participants the chance to learn, contribute and get their hands dirty on a variety of sustainability-focused projects at the Ranch. The internship can be coupled with our annual Wilderness First Responder Certification Course (WFR) which is held the 10 days prior to the official start of the internship. Interns taking our WFR get a $250 discount off of the class ($500). 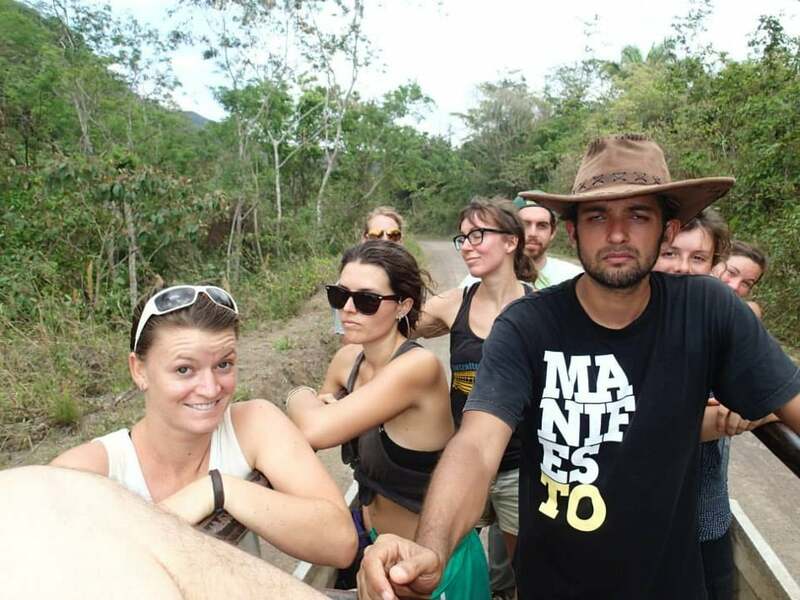 Participants in the Internship in Sustainable Living live and work with amazing people at the Ranch and in Mastatal. They make lifelong friends, participating in a style of living that oftentimes changes them forever. This experience offers the unique opportunity to become a part of the magic and beauty of a remote area of Costa Rica, while simultaneously learning tangible skills to take back home. • empower individuals who are genuinely interested in creating a more sustainable world. • be a “living laboratory” for experiential education and the daily practice of skills you can use for the rest of your life. • inspire and enable individuals to continue to develop creative solutions and generate positive social change and sustainable practices in their own lives and communities after they leave. To apply, please fill out our Internship Application. For an overview of the types of projects that participants will be working on, please see our Apprenticeship page. You may also consider reading through the Apprenticeship in Sustainable Living Document for more general information even though not all of the information there will be pertinent to you. Participants in this program are expected to follow a similar schedule to our year-long apprentices. Typical days will include daily morning and twice a week afternoon "work parties" and thrice a week afternoon "personal practice times" when we encourage interns to learn new skills, do research in our extensive library, help our apprentice team with projects, and enjoy the many outdoor activities that our region offers. The cost of the program covers all food, instruction, lodging and full access to our facilities and private wildlife refuge. Interns also have the opportunity to take our 72-hour Wilderness First Responder Certification course during the 10 days prior to the start of the internship at a $250 discount. We seek applicants who are serious about our work and are motivated to be part of our industrious team, working towards solutions for current environmental and social challenges. This is a 2-month commitment starting on August 16 and ending on October 13, 2019. Participants are expected to arrive on August 15. During this time of the year, there are no or few Ranch Core Team members on site. Please keep this in consideration when applying. The cost for this program is $550 per month ($1,100 total for the 2-month program)) and includes all meals, lodging, full access to the Ranch and its facilities. Interns have the option to take our annual Wilderness First Responder Certification Course from August 6-14 at a $250 discount. We have 6-8 openings for this internship. Participants stay in either the Ranch's comfortable bunkhouse or the Hankey House. These structures are set amongst mango, banana, pejibaye, pili nut, breadfruit, salak palm, pulasan, cashew, startfruit, mangosteen and other tropical fruit trees. The houses are outfitted with comfortable beds, hammocks, running water, electricity, nearby composting toilets, and outdoor showers. Meals at the Ranch are cooked from scratch, delicious, and plentiful with the majority of ingredients coming from the Ranch and a variety of local farms. Our kitchen is NOT 100% vegetarian. Please let us know if you have any special dietary requirements prior to arriving. Please fill out our Internship Application if you are interested in this opportunity. Please fill out an intern registration form and pay your deposit here.